Most modern heist films, like Ocean’s 8 from earlier this year or last year’s Logan Lucky, seem to aim for a certain kind of escapism as we get an inside peek into all the details that go into pulling off a big score. Widows, the latest from 12 Years A Slave director Steve McQueen, is comparatively much more grounded in reality but the results are no less electrifying than some of the best in the genre. Based on a British series from the 1980s, the film uses its setting of modern-day Chicago to examine a bevy of issues that plague our society but it does so without letting its weighty themes bog down the thrilling narrative. Viola Davis leads a stellar ensemble cast as Veronica Rawlings, whose husband Harry (Liam Neeson) is killed in the opening minutes of the film as he and his crew of four find themselves in the middle of a heist gone wrong. Still reeling from the loss of her husband, she is confronted by local crime boss Jamal Manning (Brian Tyree Henry) who demands that she settle the debt left unresolved by Harry’s botched robbery. After she discovers her late husband’s notebook full of plans for a potential job, Veronica teams up with the widows of the other thieves to pull off a $5 million robbery that will make her even with Manning, who is also running against incumbent Jack Mulligan (Colin Farrell) as alderman of a South Side precinct. The cast, which also includes talented performers like Elizabeth Debicki and Daniel Kaluuya, is loaded with powerhouse talent and each actor puts everything they have into the pockets of time that they’re on-screen. Davis reaffirms her status as one of the most compelling actresses working today, channeling layers of grief and anger into a performance that works beautifully as an emotional backbone for the entire film. Debicki, who was also excellent in The Tale earlier this year, brings so much strength and resiliency to her portrayal of a wounded soul and Kaluuya brings pitch-perfect menace to his role as a mob enforcer. While there is no shortage of brilliance in front of the camera, there is also an abundance of skill behind the camera, which starts with McQueen in the director’s chair. His previous films like Hunger and Shame have typically been character studies that focus more on mood than plot but his transition here into a densely packed narrative with many moving parts feels seamless. He has also re-teamed with cinematographer Sean Bobbitt and editor Joe Walker to craft a movie that is visually engaging from the very first frame. Additionally, Hans Zimmer contributes a kinetic musical score that’s not nearly as showy as some of his work in the past. Among all this excellent work, it’s the first-rate script, penned by McQueen along with Gone Girl writer Gillian Flynn, that stands out as possibly the most impressive aspect of a film that does so much right. The screenplay features all the clever plotting necessary for a film like this to work effectively but is also packed with hard-hitting dialogue that feels true to every character who speaks it. 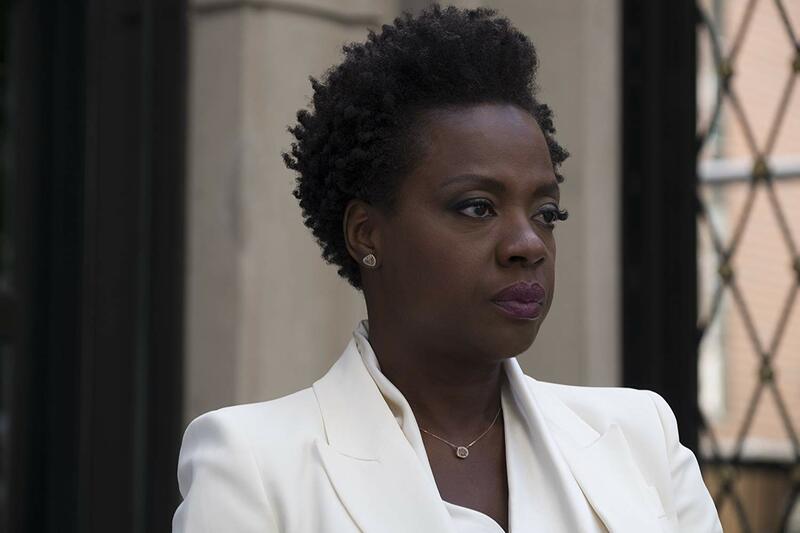 Widows feels like a blend of the crime caper thrills of Heat mixed with the sociological incisiveness of The Wire and is a perfect example of how just how exhilarating genre fare executed to the highest level can be. Creed II, starring Michael B. Jordan and Sylvester Stallone, pits the son of boxer Apollo Creed against the son of Ivan Drago, the Russian heavyweight who was responsible for killing Apollo in the ring. Green Book, starring Viggo Mortensen and Mahershala Ali, tells the true story of Jamaican-American classical pianist Don Shirley and his driver Tony Lip as they find friendship amid racism in the 1960s Deep South. Ralph Breaks the Internet, starring John C. Reilly and Sarah Silverman, is the belated follow-up to 2012’s Wreck-It Ralph that follows the titular video game character as he breaks out of his arcade machine and finds himself online.